Outback Aboriginal Art is owned by myself, Jennifer Dudley and was formed in 1992 with the aim of exhibiting and promoting the work of Australian Aboriginal artists from the Central and Western Desert and beyond. I carefully source the art from Aboriginal Art Centres and promotes both established and emerging artists. Traditional Aboriginal life is lived in the Australian Outback of the Northern Teritory by the vast majority of these very creative artists. Their native language is their first spoken, with English a second. All artwork is of high quality and has become quite collectable. 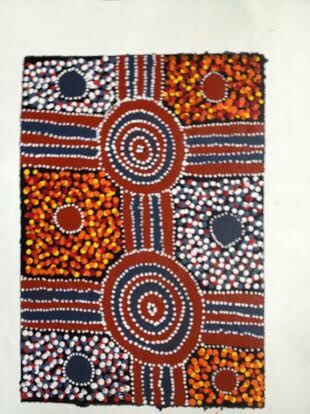 All work is certified as an original Aboriginal work of art produced by an Australian Aboriginal artist. Outback Aboriginal Art is currently involved in working towards many more exciting exhibitions in Australia, the United States and Europe to further develop an appreciation and understanding of Australia’s Aboriginal people and their unique and rich contribution to the arts.